In America, the trend seems to be that cities are getting bigger. 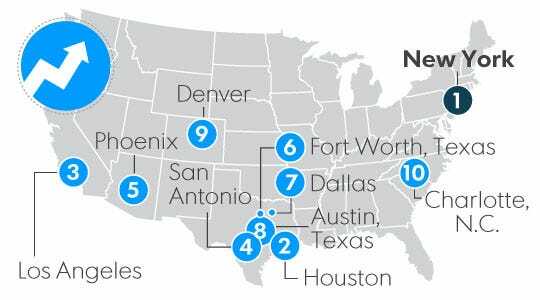 Metropolises like Austin, Denver and Houston are among those seeing the most significant growth. “It’s like a gold rush in Colorado,” said Kelly Brough, president and CEO of the Denver Metro Chamber of Commerce. As big cities are getting bigger, cost of living is fluctuating. Home prices are skyrocketing all over the country and wages have been slow to keep pace. Download the City Vs City cost of living calculator to see if any of these hot spots are financially better than your current home.